Let the steaks come to room temperature (about 20 minutes). Season both sides with the salt and pepper. 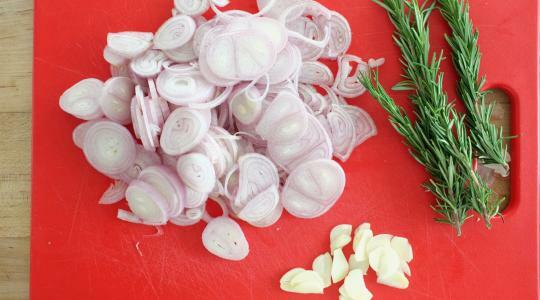 Thinly slice the shallots and garlic. 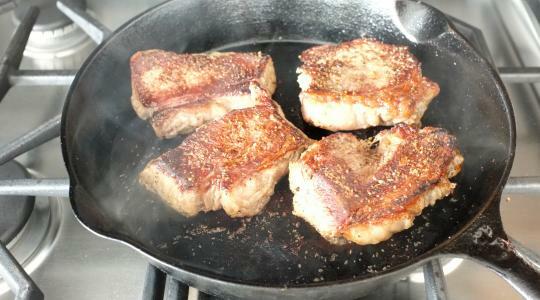 In a medium-large skillet (preferably cast iron), heat 2 teaspoons of the oil. Add the steaks and cook 4 to 6 minutes until a nice crust forms, then flip them and cook 4 to 5 more minutes for medium-rare. Transfer to a cutting board to rest while you cook the shallots. If the skillet is dry and without oil, add the extra virgin olive oil. 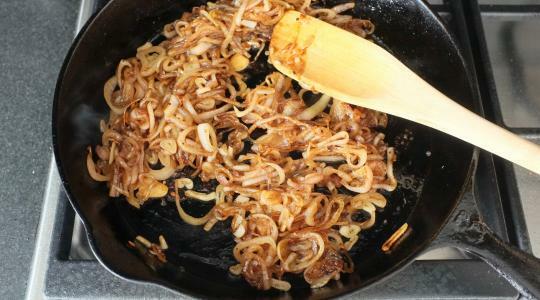 Otherwise, just add the shallots to the skillet and cook for 3 minutes, stirring often, or until softened. 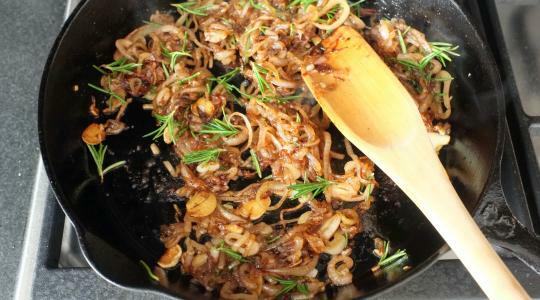 Reduce the heat to medium and add the garlic and continue to cook and stir for 3 to 4 minutes, until the shallots are caramelized. 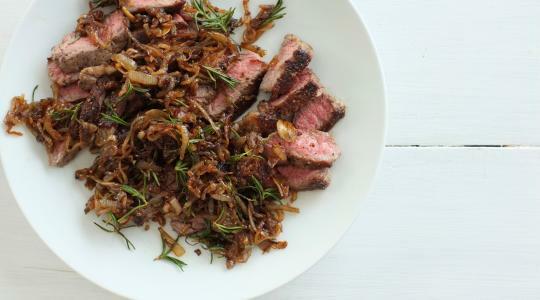 Pull the rosemary leaves from their sprigs and add to the skillet. Stir for 1 to 2 minutes more, until the rosemary becomes a little crispy. Remove from the heat. 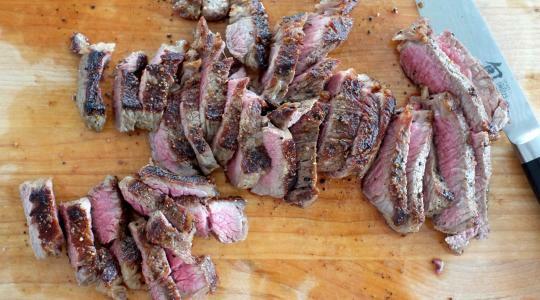 Thinly slice the steaks against the grain. Transfer to a serving plate and top with the shallot-rosemary mixture.